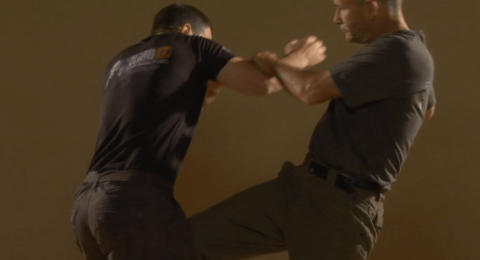 Training in-fight, meaning dealing with confrontations at close, and very close ranges. First, we start with practice of dealing with any type of attack at a medium or long range, moving in, counter-attacking, and moving out. Here is one example. At close range, dealing with different attacks. The attacker is attacking at medium speed. 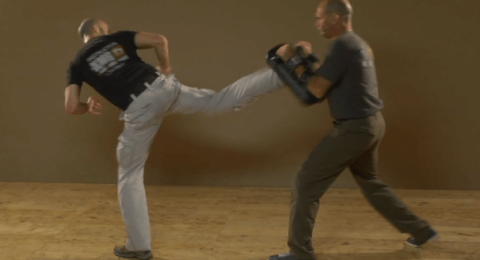 The attacks are different hand strikes, elbow strikes, different punches, and knee kicks at the short ranges. 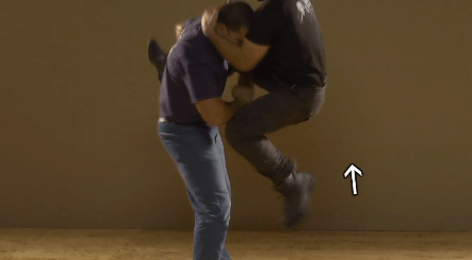 Every time the attacker is generating a specific attack, your job is to foil it, meaning do the appropriate hand and body defenses, the earliest counter-attack, continuing with more counter-attacks and a finishing move. 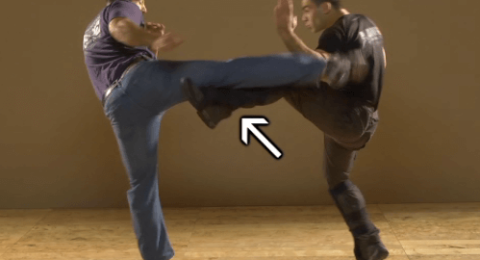 One after the other, your partner plays the attacker, and strikes and kicks with whatever is on his mind. It’s obvious that most of the attacks at this ranges are circular hooks, the uppercuts, the hammers, the elbow strikes, the knee kick. Early identification, fast decision making, medium speed defending and counter-attacking appropriate to the speed of the opponent, this is the essence of this technique. One can also use different take downs when it comes to tight ranges, and also when it comes to delivering counter-attacks. Slow fighting within fight. The essence of this drill, naturally is sort of a fighting game, is both you and your partner are playing slow fight. Slow fight as before, it’s full contact training, with very slow and soft attacks. Remember, in the fast and the slow fight, one is doing the same mistakes. It’s about the identification and decision making, especially under stress. 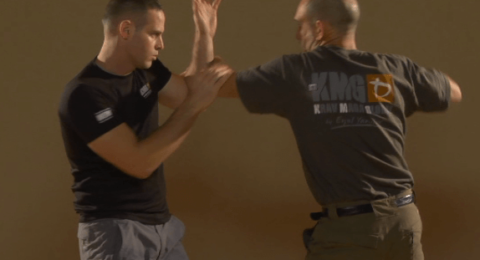 Slow fighting at close range, the slow in-fight, is a great tool to improve yourself in this direction. You can see two different couples training on this, including attempts to grab and to throw, including dealing with strikes, kicks, moving in, moving out. Most of the time, you should be focusing on defenses and counter-attacks, attacks and responses at the in fight range, the close range and the very close range. Slow fighting here with take downs. One of the guys have a mission to try to take down his partner. If you manage to prevent, great. If not, while you are being taken down slowly, get used to attacking, to counter-attacking, and dealing with your opponent while you on the way to the ground, and after you reached the ground.